Literacy means so much more than decoding symbols on a page or screen. It encompasses social, cultural and historical processes which begin early in children s lives. 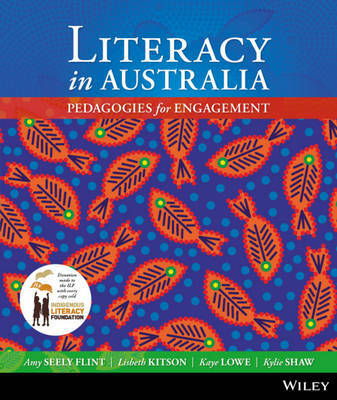 Literacy in Australia: Pedagogies for Engagement caters to the core requirements of a one semester, Prep-Year 6 undergraduate literacy course. With a socio-cultural and multiliteracies approach, the book equips students with a contemporary, practical framework for pre-service teachers. Literacy benchmarks are fundamental across the entire Australian Curriculum; literacy education is no longer confined to the English classroom. Literacy in Australia provides students with a clear understanding of how to navigate the Australian Curriculum in real terms through the exploration of topics such as: * Culturally relevant practices for reading and writing, including Indigenous literacy and supporting EAL/D (English as an Additional Language or Dialect) literacy practices * Theories of literacy development * Oral language learning in and out of the classroom * Beginning readers and writers * Awareness of and respect for the literature of Aboriginal and Torres Strait Islander Peoples, including storytelling traditions as well as contemporary literature * Examining literacy in the twenty-first century * Literacy programs and approaches * Effective assessment practices * How to work with struggling readers and writers Literacy in Australia presents a visually appealing learning design with the inclusion of real student work throughout the book, as well as examples of classic children s literature through to cutting edge multimodal texts. At once engaging and challenging, Literacy in Australia gives students the tools and confidence to successfully embark on their career as a future literacy educator.